Two delightful crèche versions on a single Printed Sheet — a fold-out to display and a miniature to hang on your tree! 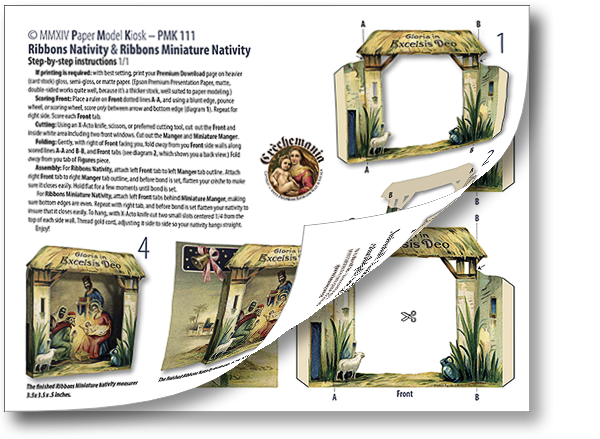 A Step-by-step Instructions PDF (here shown with the Premium Download) accompanies the Ribbons Nativity & Ribbons Miniature Nativity. No all nativities have "miniature" written all over them as this does. The ribbons had to go, of course — although no one has said that you to thread a ribbon through the larger version as well! — and the background of the manger enlarged. Still, this miniature measures 3.5 x 3. 5 inches and, with the addition of a gold thread is ready to hang just about anywhere. With or without ribbons, this vintage nativity Printed Sheet offers two versions you can print out again and again. 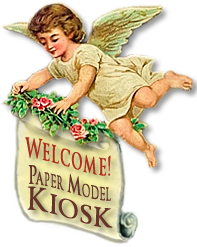 Step-by-step instructions for both the fold-out and miniature versions are included. Size: 5.25 x 3.25 x 0.5 inches. 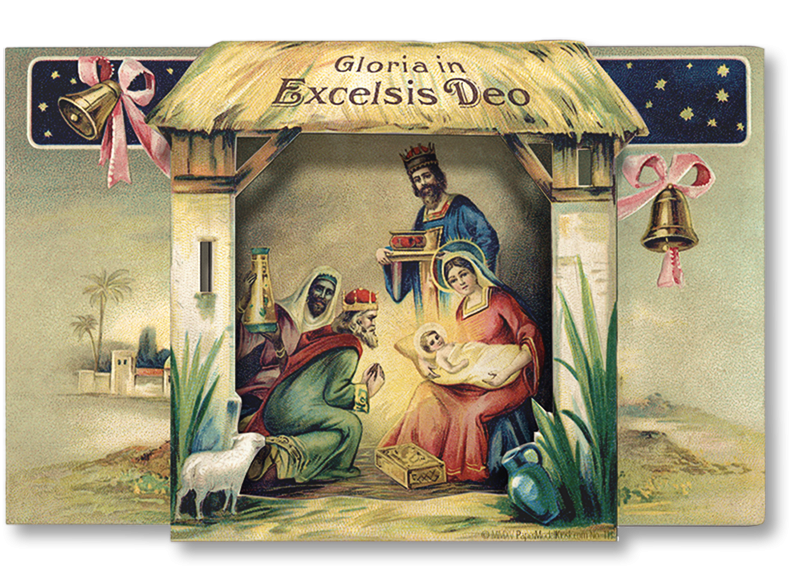 Buy Ribbons Nativity & Ribbons Miniature Nativity Sheet as part of a collection, and save!